This report starter document provides style and formatting instructions to help researchers working on Midwest Transportation Center project reports. This document serves as a template for the collection of Midwest Transportation Center project information, which includes the expected implementation of research outcomes. This form should be submitted each semester on April 1, August 1, and November 1 to help Midwest Transportation Center staff collect impacts relevant to research, outreach, and educational activities. The template includes basic reporting details required from subcontractors. A reminder of our “educational” mission, which includes preparing a workforce that can successful adapt to new changes in the transportation engineering field. 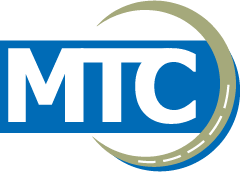 If seeking funding or institutional support for an education activity, please complete and describe how it will meet the Midwest Transportation Center’s educational mission.